OK, I'll bite, what is it? Home made? Probably, but what did you use for seals??? Its the ES-2, a hand made, bespoke, kettle lever made in Holland. I have one of the pre-production models coming in the next couple of weeks. Have a look on HB, there is a thread on it there. Since they seem to have a deal with Izzo. it may be worth checking out the other Criniti's ( Wooloomooloo, Manley, Dln harbour, Parramatta etc) to see if they are also kitted out with these impressive levers . I remember reading somewhere that Chris at Talk Coffee no longer sells the Izzo Pompei with the curvy sides like that because Izzo demanded that he sell their coffee (he has his own brand). It seems that they are packaging the machines with their coffee only, so expect the same elsewhere you seek out these machines at coffee shops etc. Nice machine, but it is a shame about the companies attitude to bundling beans & machine. That is quite likely the case for the commercial/retail arrangements as you mention,..or it may simply be the usual bean supply & lease m/c, type of contract for cafe's. ..however, their site http://www.izzo.com.au/products/espresso-machines/ lists a domestic ( single group) m/c and i cannot imagine them expecting to tie a domestic user to a bean supply contract. Also i doubt they would turn down a outright commercial m/c sale for the sake of a few kg's of beans ? Anyway , its good to see more commercial levers in use locally. I just need to figure out how much the those Italian beans affect the result in the cup ! Chris had definitely reported that Izzo was not really interested in supplying domestic machines - at least in Australia - and restricting sales of the new Pompeii to commercial premises with bean contracts. IIRC the old model was still going to be available to domestic purchasers. Then again, it was awhile ago and policies do change. so is the 1 gp Pompei listed at $5500 on their site the old or new model ? ..what are the differences ? If it looks like Galumay's red beast it's the new one. If it looks like a fairly normal Italian block of stainless it's the old. ...and only $10 for delivery !! Somedays i really hate how convenient the internet is ! There's none here who'll reproach! Just obviously leave out names of people and businesses unless you've something nice to say! No,..no hidden agenda, just surprised to find the new Pompei available in Au via the Izzo site ( apparently ?). I had seen the comments re Izzo not continuing to sell the m/c here late last year and could understand them not wishing to supply a retailer who has his own ( competing) commercial bean supplies. But then again, that doesnt explain why they are still happy to supply TC with the "Mk1" version..?? 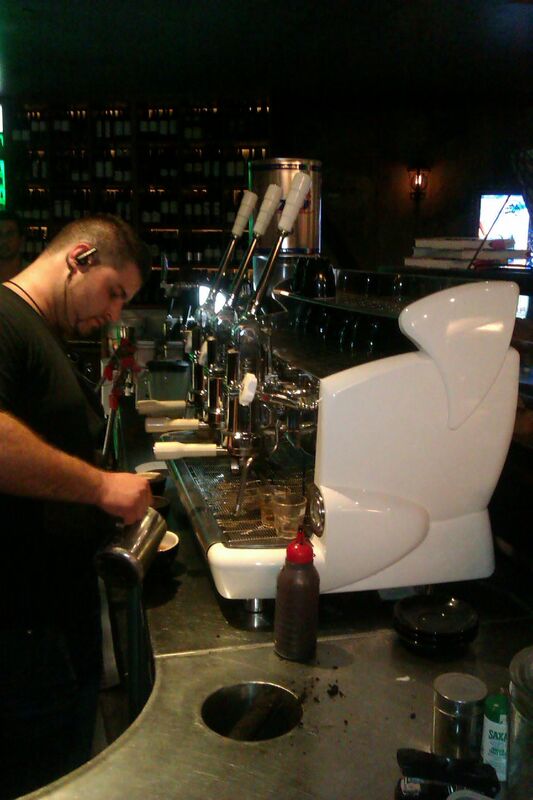 I dont know, but i am happy to see a very smart machine again available in Oz. Is anything ever as it seems? From what I could discover the above is correct, not all was as it seemed. Certain people made statements that turned out to be less than accurate. I believe the Pompeii's the same as mine are still freely available with no bean deal required, and to private buyers as well. Someone said something untrue on the internet? But in all seriousness, this is an example of why all of us (myself included) should be careful at taking certain types of statements at face value. Crap photos taken with phone in a hurry (excitement pulsing through carotid artery) with no attempt to properly set up for best effect. It's operational but not yet sorted. No photos of original model to see what any of the missing trim looked like (so we could attempt to make it up). It has passed our Test and Tag test ! When I next bring in the camera I can replace these photos with better ones. That is friggin stunning. An absolute work of art. Got any 'before' shots? Where had it been squirrelled away? Thankyou. The "before" shots are now in there. It will probably take some time but I am looking forward to when we get round to "sorting it" properly for brewing. There are some bits and pieces that we will have to make up by hand (such as some kind of workable group shower). I wouldn't have thought it possible to bring it back to that sort of luster. There is no doubt the light in the front really lifts the look (not necessarily in a photo but certainly in the flesh). So there it is! Now to make it work at its best. By the way, that's the 1918 model 5 kilo roaster behind in the restored photos. I was going to ask about the roaster. That is one seriously lovely machine! You are very very lucky indeed! Will it be for daily use when fully up and running?